“My God, this is the end of diplomacy!” – Reported reaction of Lord Palmerston, British Prime Minister and Foreign Secretary, on receiving the first telegraph message in the 1850s. The transformation of communications is one of the most evident side–effects of living in the “liquid society” theorised by the philosopher Bauman. Therefore, diplomacy had to recreate and reshape itself worldwide, taking advantage of the opportunities and managing the major challenges of communicating about high level politics. In 1992, there were two early e–diplomacy developments. In Rio de Janeiro, at the Earth Summit, for the first time civil society activists used e-mails and mailing lists tor coordinate their position in lobbying and negotiations. At the same time, in Malta, the first Unit for Computer Applications in Diplomacy was established at the Mediterranean Academy of Diplomatic Studies. 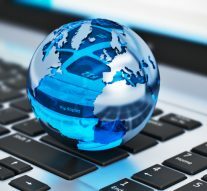 This little Unit later evolved into something different and bigger: DiploFoundation, a think tank which has conducted researches and has trained thousands of diplomats on how computers and the Internet impact diplomacy. The Internet crucially impacted two core aspects of diplomacy worldwide: information and communication. Thus, e–diplomacy evolved quickly since the introduction of the e–mail, the use of websites by diplomatic services and international organisations, and, most recently, with the massive use of social media such as blogs, facebook and Twitter. Of course, every new diplomatic tool has to be used with care. These e–tools hide relevant “pros” and harmful “cons”, challenging the way things were traditionally done. In 2010 the importance of the issue became quite topical during the public discussion on Wikileaks and diplomacy. In particular, it has been analysed the use of this tools, made by governments around the globe, in the pursuit of their foreign policies. The nature of diplomacy has been radically shaped by those media mainly used as a common platform for diplomatic activities. In this context, countries cannot afford to be left behind in this era of digital diplomacy as they can greatly benefit from these emerging diplomatic trends. The revolution led by the Internet and the digital diplomacy made the separation between the domestic dimension and the foreign affairs even thinner. Thus, e–diplomacy, for States and international organisations, requires a new wide range of skills, necessary organisational changes, and innovative ways of approaching global policy. As far as the EU diplomacy is concerned, in the short lifetime of the European External Action Service, Digital Diplomacy played an important role in shaping the EU Commission’s communication strategy. In particular, since the beginning of the mandate of the new EU High Representative, Federica Mogherini. The High Representative and her staff are greatly involved on Twitter, and unlike a huge number of politicians, the HR/VP personally tweets on @FedericaMog. We should now take into account some relevant facts and figures. The numbers in facts speak for themselves: Federica Mogherini has 123,000 followers, and the central account of the Service, @eu_eeas, is now reaching over 94,000. The real success of the accounts and the general EEAS e–communication strategy goes far beyond Brussels, thanks to a growing team of well trained professionals in EU Delegations around the world. This helped in considerably expanding the reach of the External Action Service to new audiences – tailoring the message on the basis on the relevance for its addressee, and of course the language. The idea to develop some relevant posts in Farsi led to a major involvement of the Iranian civil society during the years of the Iran–deal–talks. Today, about 96 Delegations are engaging on social media with local audiences, of which 59 are active on Twitter. The EEAS showed how it was able to use this e–power during the recent #IranTalks in Lausanne, as mentioned before. These negotiations rapidly became a trend–topic on facebook and Twitter at their relaunch in 2012, creating a kaleidoscopic ecosystem of information, insights, and instant reporting – well understood by key stakeholders. The marathon talks were accessible to the outside world thanks to various trustworthy sources on Twitter, fighting against misleading information. In this context, while the international press pushed for leaks of any sort, the negotiators on all sides let the world know what was happening without undermining what was going on behind closed doors. EEAS accounts continued, for example, to inform audiences on the key moments during the days in Lausanne, while carefully reflecting the HR/VP’s role as facilitator of the talks. Moreover, it is important to underline how EEAS channels kept the media and the public informed, through thoughtfully chosen tweets and retweets. This would not have harmed negotiations, preventing the entire process from being impacted by any interference. Finally, when the deal was signed, the HR/VP broke the news through her account – resulting in her most successful tweet ever. « Previous Article We Started from Brexit, but Was Brexit the Will of the People? We Started from Brexit, but Was Brexit the Will of the People?